It’s the day before the LSAT, but every piece of advice out there says you should be putting the books down and relaxing. And they’re right–you absolutely should not be doing any work today, as there’s almost no chance it will help you on the exam tomorrow. You’re very unlikely to have a breakthrough that translates to a huge score increase; you’re much more likely to tire yourself out before the big game. But I know you. You’re type-A. You’re going to do something today. So here are a few things you can do the day before the LSAT without tiring yourself out. Are you hitting all four games, or are you going to focus on three and then pick up as many points as you can on the last one? Are you leaving the Match the Reasoning/Flaw questions until the end? Are you leaving the science passage for last, or are you tackling it first while you’re fresh? Maximizing your score on the LSAT isn’t just about learning the logic; you also have to know how you’re going to approach the test to score at the top of your score range. You don’t need to get everything right to hit your target score (even 180s can come from a few errors). So go over the strategies you’ve already practiced that resulted in the highest scores. For the love of everything that is dear to you, don’t do a practice section the day before the LSAT. Don’t do questions. Put the book down–you’re as likely to freak yourself out over every mistake as you are to actually learn anything new. However, spend some time thinking about your approach to the questions. For a Necessary Assumption question, what are some trends in the answer choices? For an Ordering game, what are the common wrinkles (3D, mismatch, etc…), and how would you tackle each one? Remind yourself of the process so that it’s fresh when you go in to take the test. Go through the LSAC list of what you need to bring and what you’re allowed to bring. Figure out how you’re getting to the testing center and how you’re getting home. You can make plans for after the test (since your friends and family probably want to see you again), but give yourself a few hours after the exam so you don’t feel panicked if the test goes long. Additionally, find 5-10 LR questions and a game or passage to bring with you to the test center to warm up. Make sure they’re easy questions you’ve done before and you completely understand–this is just to get your brain shifted into LSAT gear. Be sure to show up a little early so you can walk through them quickly, and then toss them in the trash. It’s highly cathartic. At this point, there are two things that will determine how well you do tomorrow: the specific questions on the test, and how relaxed you are. You already know all the logic you’re going to know, and the questions are out of your hands. So focus on the one thing you can control—your mental state. Go for a jog, if that’s your thing. Enjoy massages? Schedule one. Watch a movie or some television. Get yourself mentally relaxed so that you don’t go into the exam more nervous than necessary. 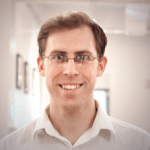 Matt Shinners is a Manhattan Prep instructor based in New York City. After receiving a degree in Biochemistry from Boston College, Matt scored a 180 on his LSAT and enrolled in Harvard Law School. There’s nothing that makes him happier than seeing his students receive the scores they want to get into the schools of their choice. 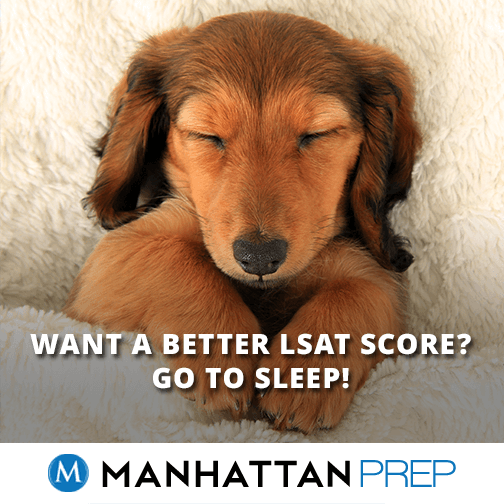 Check out Matt’s upcoming LSAT courses here!